Ellen Hart, the multi-award-winning author of 27 mystery novels, has spoken at mystery conferences, conventions, libraries, bookstores, and book clubs all over the country. In addition, as a teacher of creative writing for the past fourteen years, she is also available to teach at writing conferences and seminars. Contact Ellen at ellenhart@earthlink.net. In this forty-five minute discussion, Ellen touches on a number of writerly questions, chief among them, what is "the writing life" really like? We all have ideas about what it's like to lead a literary life, but are our images accurate? In conversation, Ellen demystifies the subject, shining light on what's true, and what's pure fantasy. Also covered are four other writerly questions: "Why did I decide to become a writer?" "Why a mystery writer?" "How did I break in to publishing?" "What surprised me bot negatively and positively about the writing life?" Question period to follow talk. It's All Just Formula—Or Is It? Thoughts on mystery structure, hooks and finding your way into your story. We've all heard the accusation that mysteries are formulaic fiction, not worth our time and effort. While crime fiction does have a specific architecture, as do all literary conventions, the stories themselves are as varied as the human imagination will allow. In this seminar we will discuss such bedrock issues as the structure of the mystery, to outline or not to outline, the classic rules of dramatic structure, the importance of conflict, character as plot and plot as character, the use of "the hook," the concept of dramatic need, and the essential building block of the novel—the scene. No writer can ignore the need to revise. 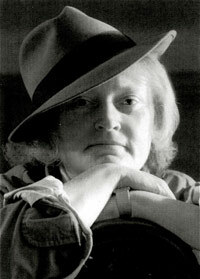 Five-time Lambda Literary award-winning mystery novelist and author of 27 novels, Ellen Hart, will share her own tips and techniques to help deepen your characters and themes, strengthen your beginnings and endings, heighten the atmosphere, the emotion and setting of your novel, work on your language skills, the pace of your story, and give you some new ways to think about the art and craft of revision.